It’s obvious by the advertising that they want you to use the app to make a purchase, and there’s nothing wrong with that. It gets more customers used to ordering on the app, which makes the ordering lines at the counter shorter. I’m all for that, and actually prefer ordering through an app or kiosk anyway, providing the technology is easy to use and it’s a faster and better experience overall than waiting in line to order. 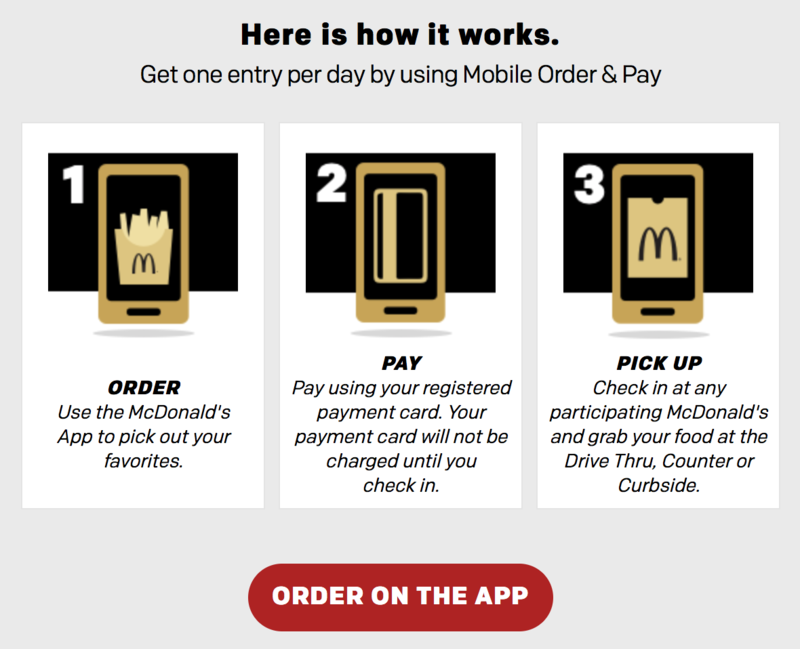 However, if you aren’t planning on eating at McDonald’s during the contest/sweepstakes, don’t want to use the mobile app, or just don’t want to spend money to enter, here’s the simple way. That’s it! Simply send a quick email. All you have to provide is your first and last name and your email address. If you use their app and make purchases with it, they already have that information anyway, so you’re not giving away any more personal information by emailing them. According to the official website on the FAQs and Official Rules pages, the odds are the same whether you make a purchase or not, so the choice is yours. The bottom line, if you’re going to eat there anyway, great. 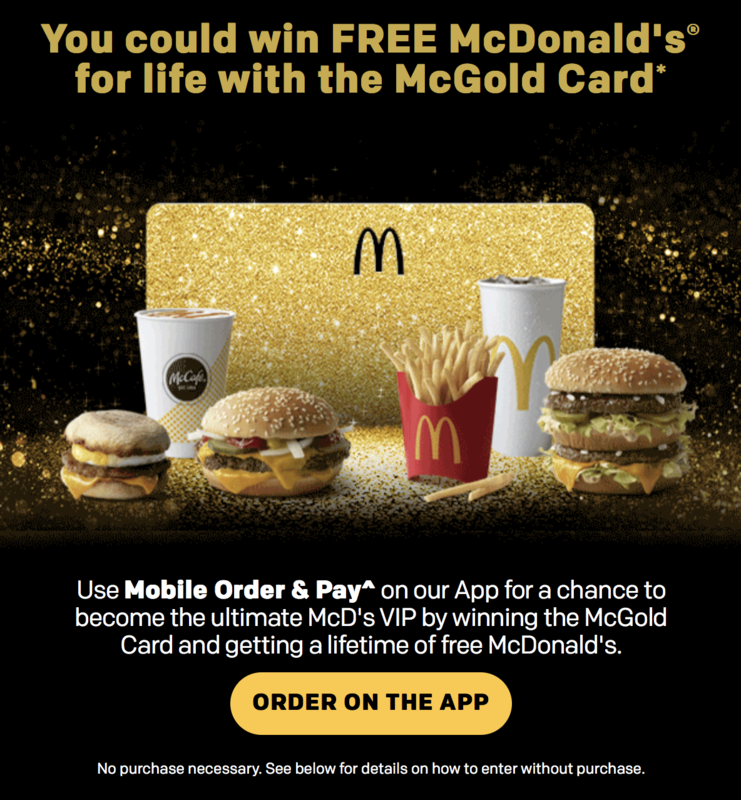 You can use the app to place an order and enter the contest at the same time. If not, just send them an email!